Problem: A flavor and fragrance company was looking for a valve to replace their linear double seat and mixproof valves that were leaking and causing continual line shutdowns. The seat materials were not able to handle the variety of ingredients and the daily cleaning soutions the valves were exposed to on a routine basis. These conditions caused the existing valve seats to fail quickly. Assured Automation suggested the 30D 3 way sanitary diverter valve series, a full bore triclamp ball valve with cavity filled teflon seats. The teflon seat material met the compatibility requirements of all the manufacturers ingredients and cleaning solutions. The full bore design of the 30D Series had a higher Cv than the mixproof valves, which increased the tank fill rates and discharge times. 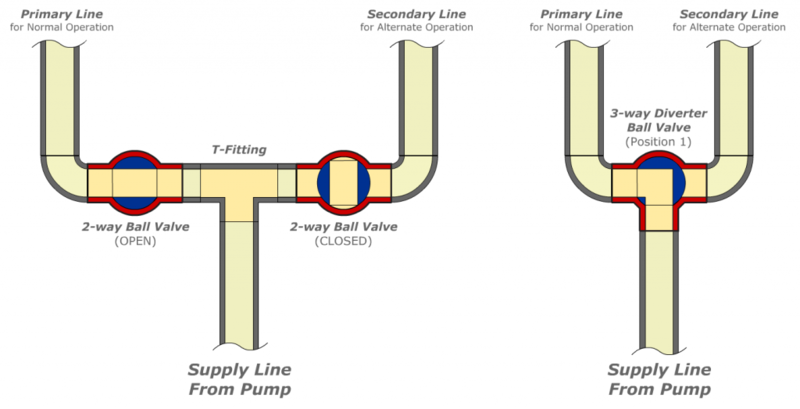 The plant had considered using all 2-way ball valves, but the 3-way design allowed them to reduce the number of valves required and reduce the I/O required to operate these valves. This also reduced the electrical wiring and contractor fees. Line shutdown due to valve failure and leakage has been entirely eliminated since the switch from the linear double seat and mixproof valves to the Assured Automation 30D Series. The higher Cv dramatically improved fill and discharge times and the plant has improved their batch times by a significant 25%. 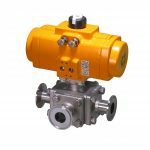 The 30D Series 3-way sanitary diverter valve is ideal for use in food processing and other clean service applications. This valve line meets FDA and USDA 3A requirements. Valve body is constructed of ASTM 316 stainless steel with sanitary tri-clamp end connections. Sizes available in ½” through 4”. The 30D Series features a full port design with highly polished I.D. and comes standard with live loaded stem seals and blowout proof stem design. Direct ISO mounting for actuators eliminates the need for brackets and couplers saving both space and cost. 30D Series have been used successfully in brewing, dairy, water bottling, flavor and fragrance, food and beverage, biotech, and pharmaceutical industries. This entry was posted in Latest News and tagged 3 way ball valve, 3 way sanitary diverter valve. Bookmark the permalink.